I hadn’t been to the Caribbean for probably 15 years so I was delighted to have the opportunity to reacquaint myself with the region earlier this year. I travelled to Bequia, a small island in the Grenadines. And I wasn’t disappointed. Everyone kept saying, Oh, its like the Caribbean was 20 years ago. Not the Caribbean I knew that long ago. Bequia is truly charming, a simple way of life with a truly Caribbean vibe. The Grenadines is well known for the yachting fraternity, and if I’m honest I’d probably think it wasn’t “my scene” but I was truly surprised by how un-encroaching life on the waves is to the land lubber’s enjoyment of the islands. The bays are full of yachts of all shapes and sizes, with ‘convenience boats’ offering laundry services, ice, espressos, you name it, bobbing in the blue. My view of the bay was enjoyed from the recently renovated Bequia Plantation Hotel, a charming property to base yourself for a stay on the island, just a stone’s throw from Port Elizabeth where you’ll find a whole host of eateries and bars, one boasting the best lobster pizza on the island. Alas I didn’t have the opportunity to sample the fayre, but it’s on my hit list for a return visit! Whilst in The Grenadines it would have been a crime not to have taken a boat trip through the islands. A 90 minute spin in a speedboat took us to Tobago Cays Marine Park (TCMP) which houses a series of globally significant habitats including coral reefs, sea turtle nesting sites and feeding areas, and small systems of mangroves. The marine portion of the park surrounds five uninhabited cays, the populated island of Mayreau, and three islets. The four-kilometer long Horseshoe Reef, the longest of the four main reef systems in the TCMP, encloses four of the cays (Petit Bateau, Petit Rameau, Baradal, and Jamesby) with the fifth cay (Petit Tabac) lying just outside the reef. Seriously, a day I will never forget. The autumn will see a new address on Bequia’s map. The Liming, a boutique 5-star property of just 9 villas set amongst the natural beauty of the island. Five-Star Luxury is a new concept in Bequia but the standard of resort promises something very special indeed. I, for one cannot wait for my return visit to master the art of doing nothing and of course, to try that pizza! All of its 162 suites are terraced or balconied with blissful views out towards the Indian Ocean. The round-the-clock butler service exemplifies the resort’s emphasis on personal attention. Indeed guests can always anticipate the very highest standards here, particularly when it comes to the culinary options – truly a case of the best the island of Mauritius and the rest of the world has to offer. The poolside La Terrasse offers a relaxing alfresco dining experience, indulge at the waterside Indian restaurant overlooking the shimmering lagoon. Or try the resort’s own cutting-edge dining concept PRIME Contemporary Grill. There is also a wealth of sporting options available and the One&Only Spa. 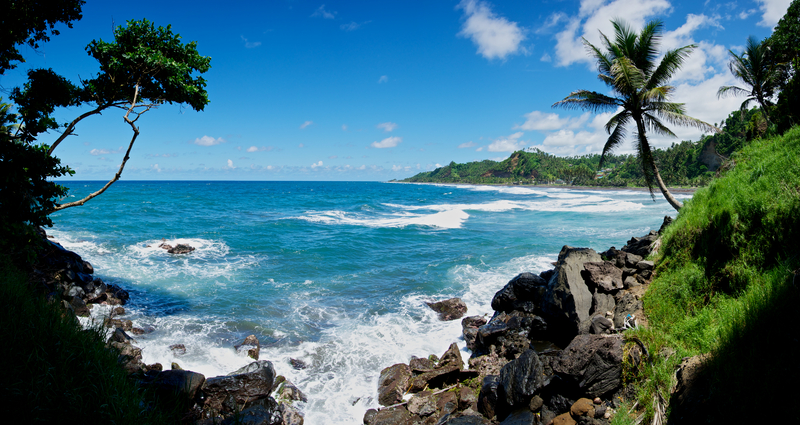 The Grenadines is the perfect place to get away from it all. Expect stunning seascapes and picture-perfect beaches. Luxury holidays to the Grenadines are all about enjoying the slow-paced island life, whether you’re strolling around picturesque harbours, scuba diving next to pristine coral reefs or going on a rainforest adventure. follow in our footsteps...Enquire now!